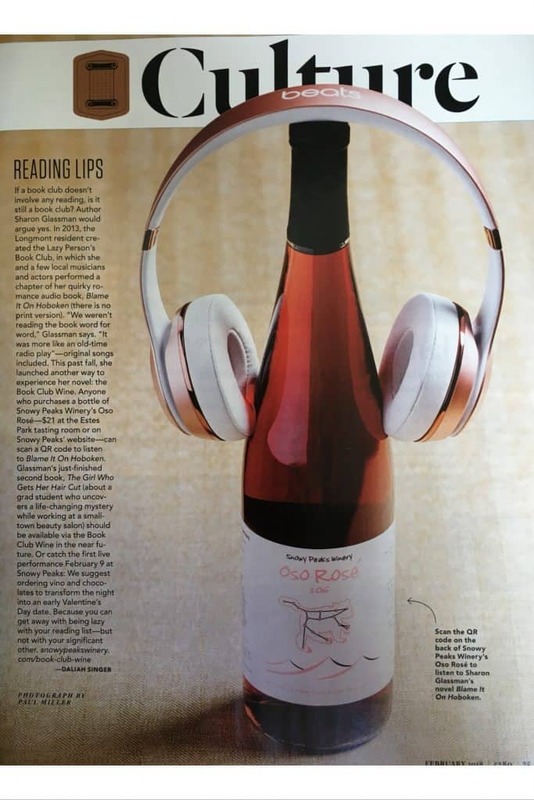 Snowy Peaks Winery’s Oso Rosé brings you a book that reads itself. Does your book club “just read the wine labels”? Then this is for you. The book is on the label! This is the perfect wine to share with friends as you kick back and enjoy this fun audiobook. 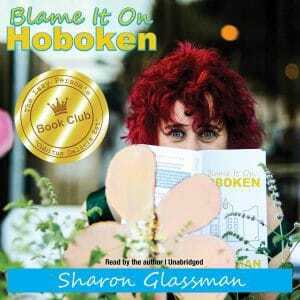 The audiobook: “Blame It On Hoboken” is a charming romantic comedy set in Frank Sinatra’s hometown. The story features 12 original songs. Short episodes with recaps help you enjoy a little of the story … or a lot! Performed by a full cast. 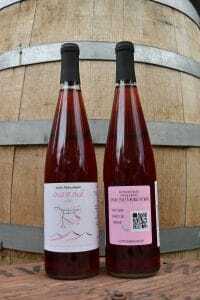 Our story: The Book Club wine is a Colorado-grown collaboration between Longmont performing novelist and songwriter Sharon Glassman and Estes Park’s Snowy Peaks Winery. So, we put it all together in this tidy package: a bottle of Snowy Peaks wine and Sharon’s audio book, which reads itself to you from the label!